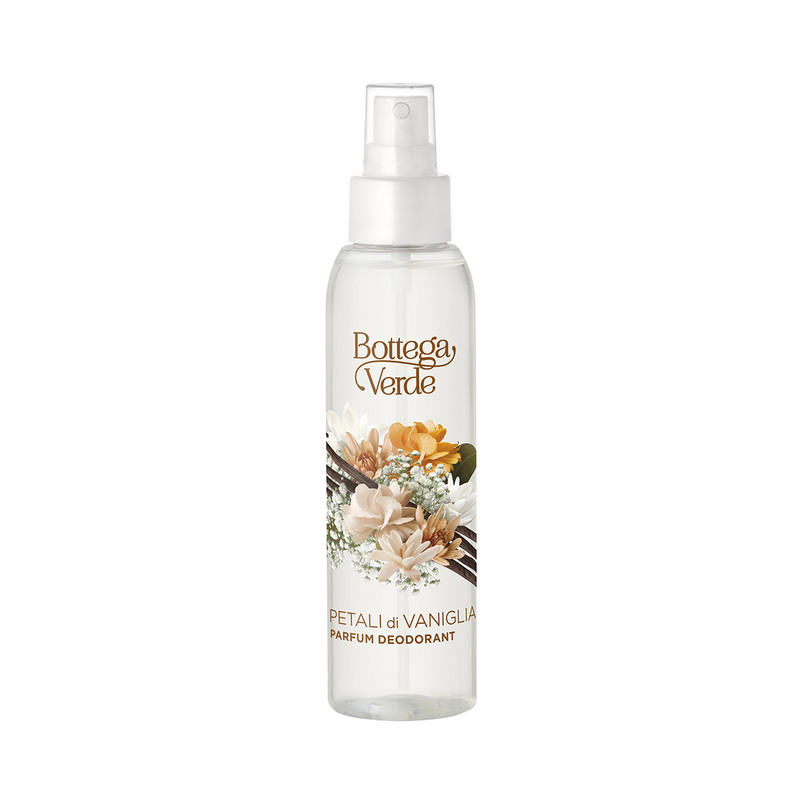 A delightful blast of freshness is set free by its delectable fragrance, which is as sweet and delicate as velvety vanilla petals. It offers a kaleidoscope of sensations that are masterfully measured to make every drop that touches your skin a joyful experience. The special formula with vanilla extract produces a wave of sweet vitality that protects without altering the natural perspiration process and fills you with wellbeing all through the day. A delightful blast of freshness is set free by its delectable fragrance, which is as sweet and delicate as velvety vanilla petals. The special formula with vanilla extract produces a wave of sweet vitality that protects without altering the natural perspiration process and fills you with wellbeing all through the day. Direction for use:How to use it: spray the product wherever necessary after a bath or shower. Characteristic:Deodorizing hydro-alcoholic solution. 0% aluminium salts.